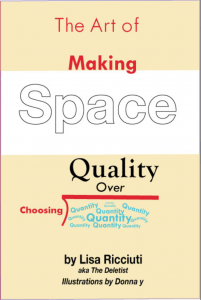 I recently started the process for getting an e-version of my new book, The Art of Making Space: Choosing Quality Over Quantity. I’m self-published and the entire process has been peppered with a lot of lessons learned. The biggest one was probably that the e-version is a lot more complicated than it seems. Initially I thought the e-version would be as easy as uploading the digital file for my book. Nope. It’s actually more complex than that. When I started researching it, I discovered that the e-version has to be carefully coded on the backend to make it work on the various devices and operating systems available. An ebook won’t sell well if it can only be read on one type of device or e-reader application. It has to be readable on everything, comparable to the ease with which anyone can pick up a paper book and start reading it. The e-version must be flexible and adaptable to change sizes. People often like to zoom in/out on images and tables. Or increase the text size. Paper books don’t do this. Since my coding skills are rudimentary, at best, I hired a company to do the heavy lifting. While filling out the paperwork, I noted that the owner referred to her staff as “bookmakers.” Bookmakers? I remember thinking. Is that what they were? After some thought I realized that yes, they are digital bookmakers. The print version looks amazing, but I’ve already had to accept there will be some differences with the e-version. And yes, I need a professional digital bookmaker to handle the adjustments and formatting. One surprising thing I learned is that digital books don’t really have back covers. When looking at paper books, I think most people look at the cover first (yes, we do judge books by their covers! ), then flip it over to read the back. If it’s hardcover, people may also read the inside flaps. But with ebooks, there is no way to “flip” it. Therefore the promotional bits must be delivered in other ways, such as embedded in the book as a description, or on a page near the beginning. Yup, more lessons learned. Despite all the setbacks, I’m thrilled that the digital bookmaking process is a fairly short one, about two weeks. 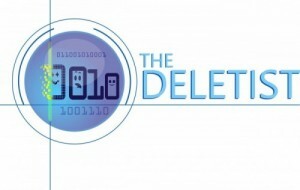 E-version coming soon to your favorite device! very interesting. a new skill for you??? Likely not. The learning curve is steep for the coding.